At Cosmetic Surgery Partners we have your convenience in mind at all times, that’s why we are now offering a virtual consultation from the comfort of your own home. A 30-minute virtual consultation gives you the opportunity to meet our expert surgeons in order to ask any questions you may have relating to your chosen procedure. Your surgeon will guide you through the patient journey, explaining the procedure and anticipated results. Online video consultations cost £100. 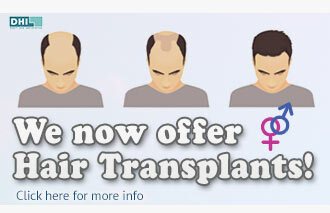 Unsure about the details of the procedure you are considering? We suggest that you give our friendly and knowledgeable staff a call or drop us an email so we can tell you more about the options available to you. It’s a great first step, helping you decide whether you want to embark on your cosmetic surgery journey. Creating a Skype account – if you don’t have a Skype account then you will need to set one up, it is free and easy to do, click here and simply follow the steps. Request a Skype virtual consultation – let us know you would like a Skype consultation by filling in our form below. Add us on Skype - next you’ll need to add us as a contact on Skype, just type "Cosmetic Surgery Partners" into the search bar and simply press add. Pay your consultation fee – after submitting the form below, our patient coordinator will contact you confirming your online video consultation appointment. They will arrange a date and time convenient for you and provide payment instructions. Get ready for your Skype virtual consultation - on the date/time confirmed for you by the patient coordinator, see tips below for getting the most out of your consultation. The cost of a online virtual video consultation is £100. Do you offer this service to international patients? Yes. Please find more information here. Which surgeon will I speak with? We have a selection of award-winning surgeons, you will be assigned a specialist in your given procedure. Once you get in touch with us via the contact form and your appointment has been confirmed, our patient coordinator will let you know the name of your surgeon. What if I don't have a Skype account? It really depends, every patient is different, and generally speaking most Skype consultations with our surgeons last around 30 minutes, so please make sure you have enough time scheduled. 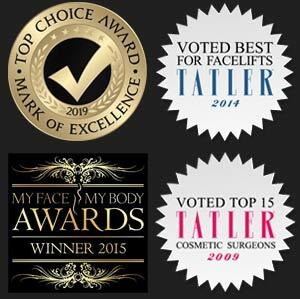 It’s important you to get the most out of your consultation with our award-winning surgeons, so we have put together a few top tips: * Do your research. We always advise patients to read as much as possible about the procedure they are interested in prior to talking to our experts. However, we understand that people's lives are very busy so, perhaps make a few simple notes of any queries you may have. * Make sure that you ask your surgeons lots of questions, the consultation is a great opportunity to learn more about the procedures available. * Ensure you have a good internet connection. * Endeavour to have a good level of lighting, the better the surgeon can see you, the better they will be able to assess whether you would make a good candidate for surgery. * A static camera is preferable as that doesn’t move around. If you're using a mobile device we suggest you mount or prop your device so that it is stable and captures you in full view. How can I add Cosmetic Surgery Partners to my Skype contact list? Adding Cosmetic Surgery Partners to your Skype contacts couldn't be easier. Sign in to your Skype account and simply type "Cosmetic Surgery Partners" into the search bar, you should recognise us by our logo. Click on our logo and select 'add to contacts'. That's it! If you experience any trouble we suggest following Skype's official documentation or give us a call. What times are Skype consultations available? Our clinics are open Monday to Friday, 9am to 5pm GMT, we offer our virtual consultations within these hours. Disclaimer: The Skype virtual consultation is a service provided by Cosmetic Surgery Partners. The participants fully understand that the information provided by the surgeons is general information only and is not a substitute for an actual “in-clinic” consultation with the surgeon that is necessary prior to any surgery. Participants in this consultation agree to not hold any parties liable to the opinions given herein. International clients will need to hold a formal "in-clinic" consultation upon arrival.